They’re an unlikely couple: Lucky Smith, passionate environmentalist, old-time hippy; Paul Keller Chief Constable of Trafalgar, British Columbia. This vacation is a chance to explore their fledging late-in-life relationship, to indulge themselves at the famous Banff Springs Hotel. Trouble interferes when Lucky, strong-willed and sometimes too stubborn for her own good, stands up to two bullies in the local coffee shop. To his horror Paul recognizes one of the young men as his estranged son, Matt. Matt Keller is an experienced wilderness adventurer. All signs indicate that he’s escaped into the backcountry. To RCMP Sergeant Eddie Blechta, running is all the proof of guilt he needs. Paul Keller can do nothing but watch the investigation from a distance, terrified that Blechta is right. Lucky’s daughter, Constable Molly Smith of the Trafalgar City Police, abandons her chaotic Thanksgiving kitchen to offer her mom support. She has no intention of meddling in the police investigation, but when Matt’s sad, shy girlfriend, Tracey, asks for her help, Molly Smith finds herself not only interfering but putting herself on the wrong side of Edward Blechta. And Molly Smith is as good in the wilderness as Matt Keller. It’s the end of March and Trafalgar, British Columbia is preparing for the last influx of skiers for the season. Schools are closed for a week: teachers, parents, and students are preparing to relax at home or head off on vacation. But for Cathy Lindsay, the week of relaxation doesn’t work out as planned when she’s gunned down by a sniper on the hiking trail high above town, her small dog the only witness. Cathy Lindsay: middle-age, middle-class, small town resident, high school English teacher, married mother of two. An unlikely candidate for a murderous ambush. As Sergeant John Winters begins his investigation he finds himself frustrated at every turn. Why would anyone want to kill Cathy? She was a respected teacher, in an apparently solid marriage to an Internet developer, living a quiet life. Winters, with the help of young Constable Molly Smith, digs deep into the Lindsay marriage and friendships, searching for a motive, but one thought continually niggles at the back of his mind: Is it possible this was a random killing or a case of mistaken identity? And if so, who in the small, close-knit community might be next? It is now autumn in the mountain town of Trafalgar, British Columbia. 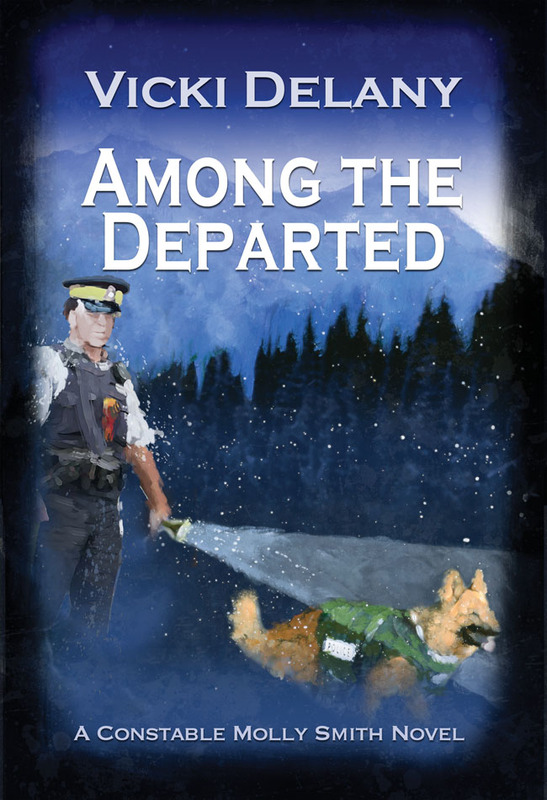 Searching for a lost child in the wilderness a police dog discovers human remains. 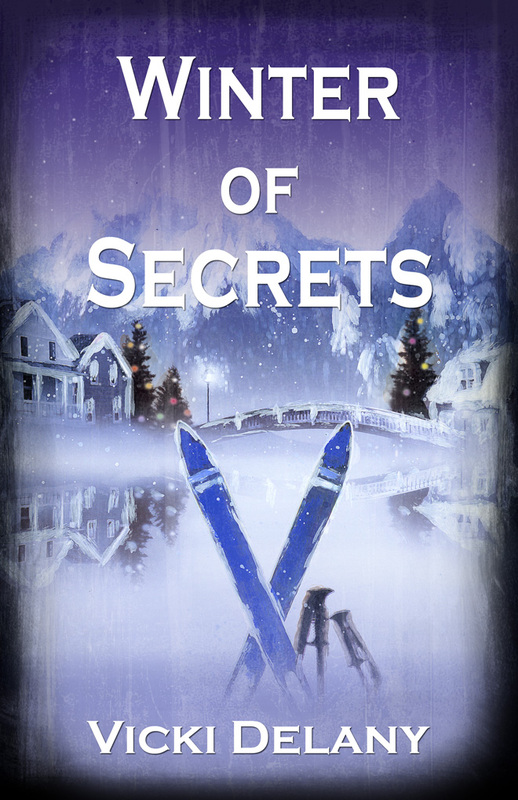 When Sergeant John Winters reopens the investigation into the disappearance of Brian Nowak he finds a shattered family and townsfolk desperate to keep their secrets. Among the Departed is much more than a mystery novel: it is also a story of love – new and old, long-concealed, life-affirming and fatal. When his wife’s former fiance is found dead of a gunshot to the back of the head, Sergeant John Winters is faced with the most difficult decision of his life: loyalty to his wife or to his job. Christmas in Trafalgar, B.C. 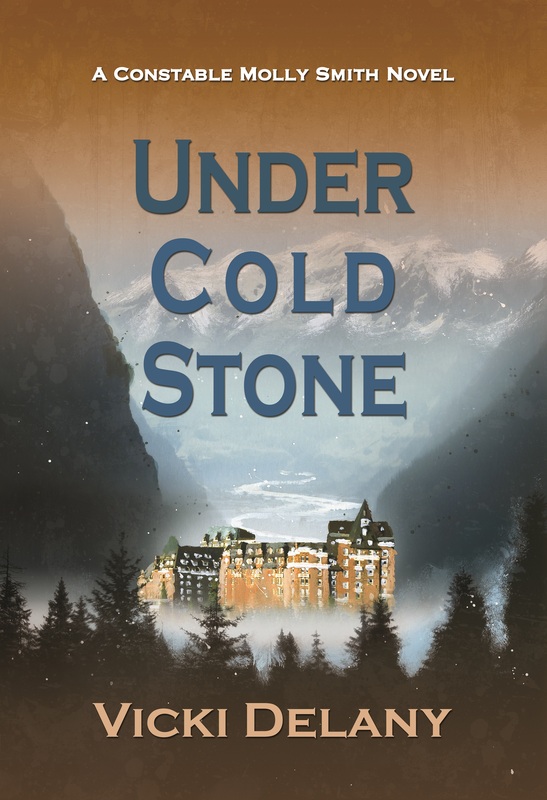 The skiing vacation of a group of rowdy students takes a tragic turn, and Smith and Winters discover that sometimes an accident isn’t as it first appears. 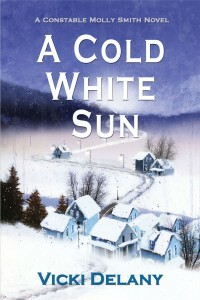 Vicki Delany created a beautiful, idyllic, Canadian mountain village within the pages of her 2007 mystery, In The Shadow of the Glacier. And then she threw a dead body into the mix. Now this quiet village is once again in trouble in Valley of the Lost, and-as usual-it is up to Constable Molly Smith and Sergeant John Winters to sort out the crime before the villagers turn on each other. “…builds to a pulse-pounding conclusion.” – Publisher’s Weekly. 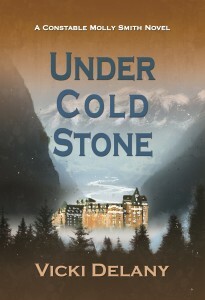 Trouble is brewing in the small, bucolic mountain town of Trafalgar, British Columbia. An American who came to Trafalgar as a Vietnam War draft dodger has left land and money to the town but there’s a catch: the money must be used to build a garden to honor draft dodgers. This bequest has torn the close-knit, peaceful town apart. Then the body of a leading opponent is found in an alley, dead from a single blow to the head. “Delany writes with a painter’s landscape palette and a storyteller’s deft hand at spinning a good tale.” – Hamilton (Ontario) Spectator.